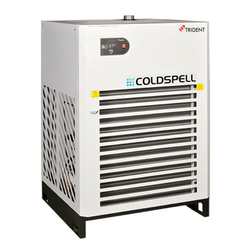 We are profound manufacturer, supplier and exporter of a range of Heatless Air Dryers. Desiccant Air Dryer are designed and developed in accordance with national market trend and keeping in mind the precise demands of clients. Catering to the requirements of our clients, we are involved in offering Compressor Air Filter. Following are the salient features of Adsorption Air Dryer: Stable and consistent air output pressure and dew point are ensured through the following arrangements: Reasonable cylinder design: to ensure that the desiccant-compressed air contacting time can meet the requirement for the finished air dew point. 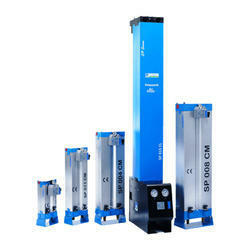 Desiccant Air Dryer is used when the high quality compressed air is required. With activated alumina the heatless dryer can produce upto -400C. Pressure dew point can be extended to -700C by using molecular sieves. We are a unique company in this business that is involved in offering a wide assortment of Desiccant Air Dryer to our customers. This Desiccant Air Dryer is manufactured making use of qualitative material that is sourced from reliable vendors of the market. Moreover, these products are available at market leading prices. Air contains contaminants like solid (dust particles), liquid (moisture) and oil which contaminates the compressed air. When this contaminated compressed air is used for various applications, it may cause failures of pneumatic valves, instruments, etc which results in the downtime of whole system. Steel Akm Technology India Pvt Ltd.